Expressions of devotion on the Feast of Saint Lucy are not always in the form of prayer; the making of these cookies, formed in the shape of eyes, is a tradition in honor of this revered saint, the protector of eyesight. These fried cookies are best eaten warm as soon as they are made. In a bowl, mix together 4 cups of the flour, 2 tablespoons of the sugar, and the salt. In a medium bowl, whisk the eggs and milk together. Stir the mixture into the flour mixture, adding enough additional flour to make a soft ball of dough. On a floured surface, knead the dough until smooth and no longer sticky. Divide the dough in half. Roll out each piece into a rectangle about 15 by 12 inches. Sprinkle each rectangle evenly with half of the remaining sugar and roll up tightly like a jelly roll. Cut the rolls into ½-inch-thick slices. In a deep-fryer or deep heavy pot, heat the vegetable oil to 375ºF. Fry the cookies, a few at a time, until golden brown. Remove with a slotted spoon to brown paper to drain. Sprinkle the cookies with confectioners' sugar and serve. Can you please give me a recipe for fresh figs.My brother gave me lots of fresh figs and I wanted to surprise him with some cookies. Lucy. She was given that name because my grandmother prayed to her when my Mom was hit in the eye. thank you for your help. 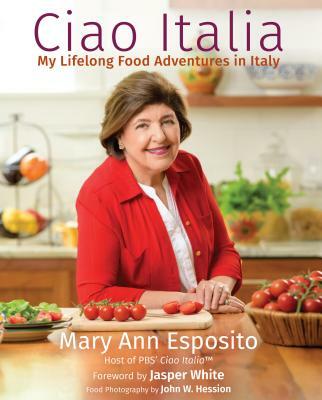 I have learned a lot about cooking and Italian traditions from you. I just saw the recipe for the Almond Cookies from Benevento. My father's family is from Benevento.